Three patients with chronic paraplegia were able to walk over ground thanks to precise electrical stimulation of their spinal cords via a wireless implant. In a double study published in Nature and Nature Neuroscience, Swiss scientists Grégoire Courtine (EPFL and CHUV/Unil) and Jocelyne Bloch (CHUV/Unil) show that, after a few months of training, the patients were able to control previously paralyzed leg muscles even in the absence of electrical stimulation. 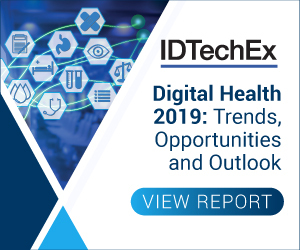 For more information see the IDTechEx report on Neuroprosthetics 2018-2028. The challenge for the patients was to learn how to coordinate their brains' intention to walk with the targeted electrical stimulation. But that did not take long. "All three study participants were able to walk with body-weight support after only one week of calibration, and voluntary muscle control improved tremendously within five months of training", says Courtine. "The human nervous system responded even more profoundly to the treatment than we expected." During rehabilitation sessions, the three participants were able to walk hands-free over more than one kilometer with the help of targeted electrical stimulation and an intelligent bodyweight-support system. Moreover, they exhibited no leg-muscle fatigue, and so there was no deterioration in stepping quality. These longer, high-intensity training sessions proved crucial for triggering activity-dependent plasticity - the nervous system's intrinsic ability to reorganize nerve fibers - which leads to improved motor function even when the electrical stimulation is turned off.